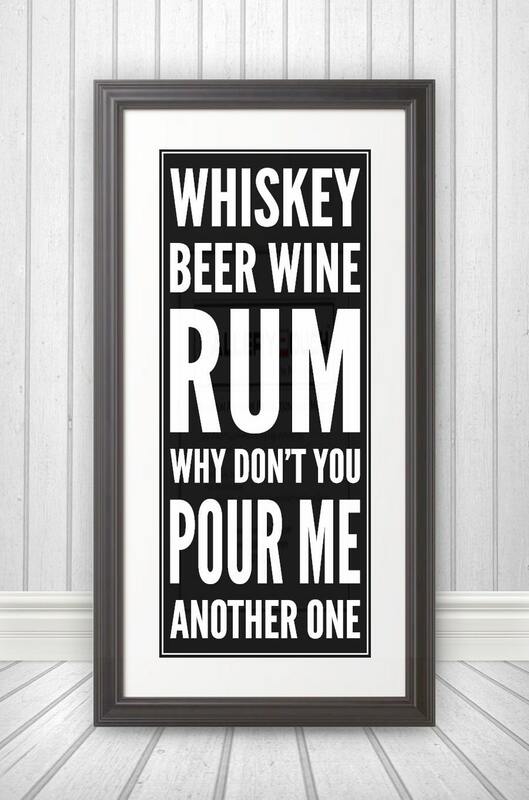 This is a print that states... "Whiskey Beer Wine Rum Why Don't You Pour Me Another One". 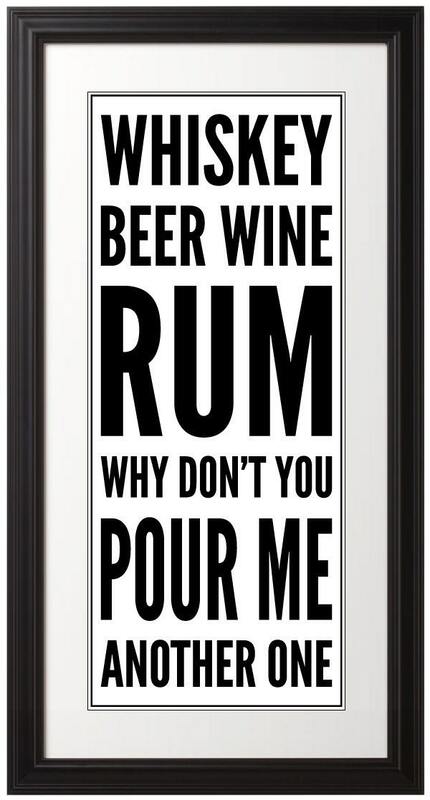 This print is great for any bar room, recreation room, or entertainment area. 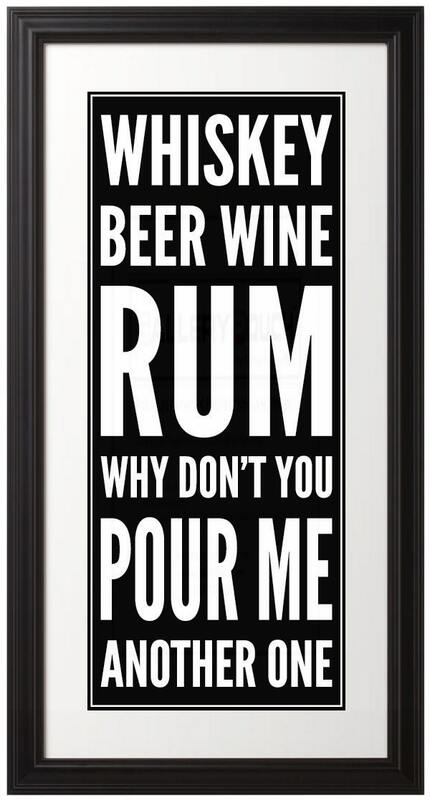 * Available with a black background and white letters or white background black letters. When ordering please specify which print you would like. The frame and matte are not included with the print.